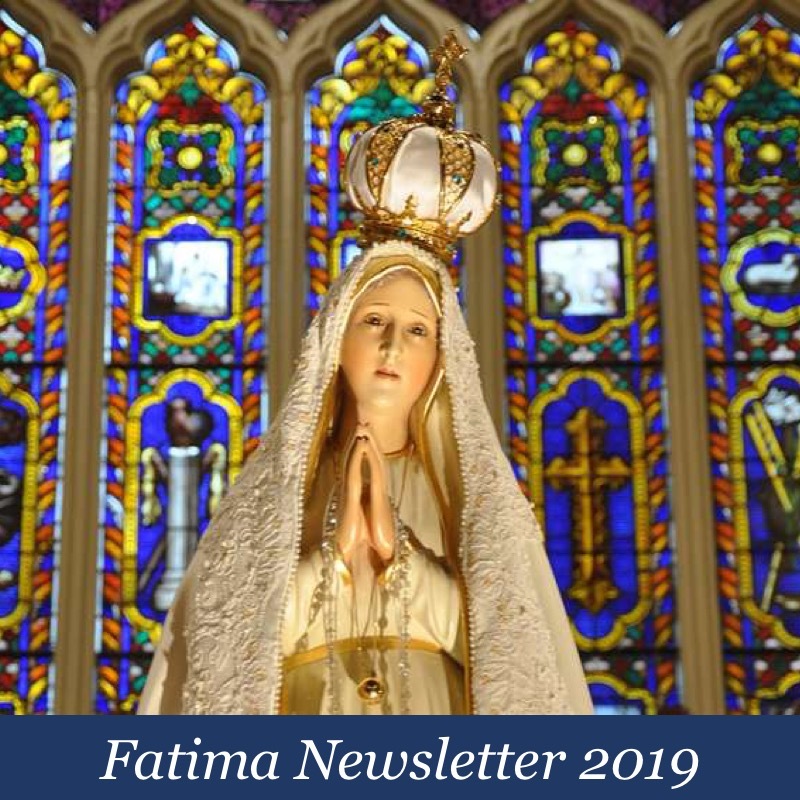 Catholic World Report has recently published an interview with Kevin Symonds, author of On the Third Part of the Secret of Fatima (En Route Books and Media, 2017). 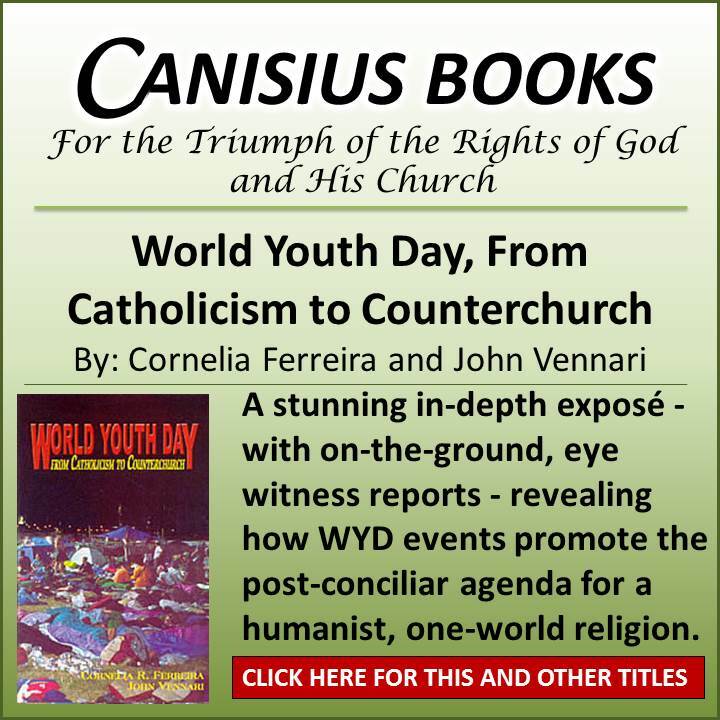 Symonds, who is a friend of the World Apostolate of Fatima (the former Blue Army and “official” Vatican mouthpiece), debated Christopher Ferrara last month at the Angelus Press Conference. I wasn’t present for the debate, but based on the content of the CWR interview, I am rather certain that Mr. Ferrara filleted his opponent’s arguments with ease. In any case, I look forward to Mr. Ferrara’s response to the interview, which presumably will come soon since he and Fr. Gruner are mentioned in it often. Prior to Socci’s involvement, the main audience for Gruner and the Abbé were various “traditionalist” Catholics with some conspiratorial understandings of the third part of the secret. Socci expanded that audience to include a much larger swath of people. 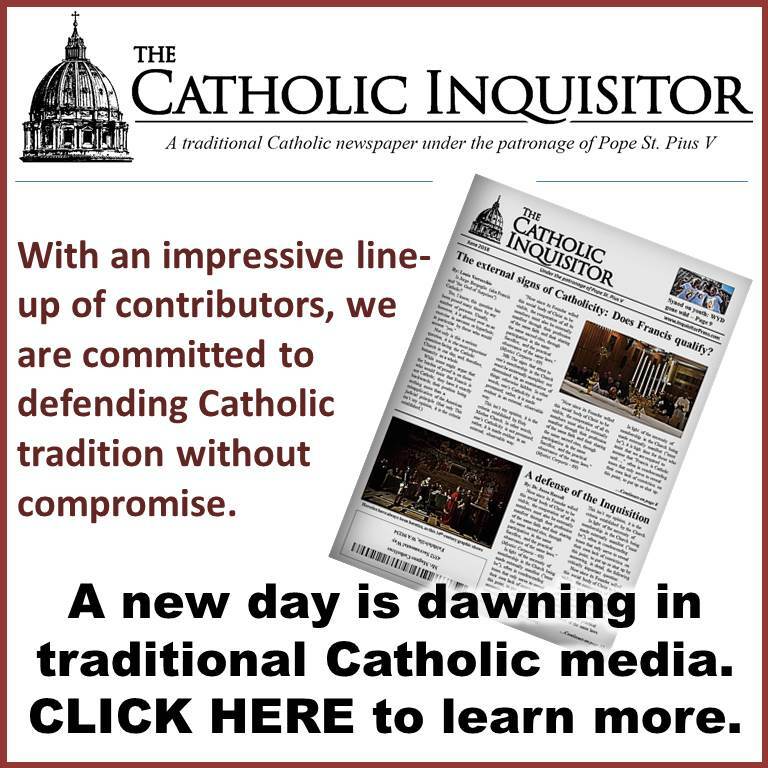 The real reason interest in the Fatima message has been steadily growing (that is, even before the advent of the 100th anniversary) is the ever more obvious deteriorating condition of the Church following Vatican Council II; the same of which Our Lady came to forewarn us, just as the “conspiratorialists” have been saying all along. Today, thanks in part to Francis – the Generalissimo of the Council – that “much larger swath of people” includes no small number of neo-conservatives who are slowly but surely awakening from their slumber and coming to terms with the conciliar disaster and thus the message of Fatima. This has very little to do with the laudable efforts of Antonio Socci. The point here is obvious: For the likes of the WAF and the Captains of Newchurch in Rome, Vatican II is almighty and blameless, and so there must be another explanation for the growing ranks of Fatima conspiracy theorists. Symonds went on to suggest that we, the sheeple, should simply trust in what the Vatican has officially stated. Unfortunately, their concern [for the Church] led them to develop what I call in my book the “hermeneutic of suspicion and conspiracy,” meaning that they view ecclesiastical authority with suspicion and mistrust in matters pertaining to Fatima. Even a disinterested secularist, who takes the time to read the Vatican’s official explanation of the Third Secret, cannot help but conclude that it isn’t trustworthy. In fact, this is exactly what happened following its publication in the year 2000, as even the Washington Post editorialized that the Vatican’s story just doesn’t add up. Symonds went on to say that this unfounded suspicion is what led Fr. Gruner and others to claim that there is a second, unpublished text relative to the Third Secret; one wherein Our Lady’s explanation of the vision is recorded. As if to explain the absence of any such text, Symonds cites the 2013 biography of Sr. Lucia published by her religious order, the Carmelites of the convent of St. Teresa in Coimbra. Apparently, there was some prophetic insight into the third part that had been given to Sr. Lucia by 1944 but which she was not allowed to communicate to others. This fact could account for why the text seemed “incomplete” to some people. Symonds would have us believe that Our Lady, though she took care to explain the vision to Sr. Lucia, forbade the visionary to ever pass that explanation on to anyone else, much less in writing; as if she came from Heaven simply to present the Church and the world with an impossible riddle. It was important to Our Lady that the meaning of the Secret be made clear. Now you tell me: Given the benefit of hindsight, what exactly about the vision published by the Holy See was “clearer” in 1960 than it would have been in 1946, or 1956, or any other year prior? No, Our Lady doesn’t deal in riddles. The explanation has almost certainly been committed to writing. A second text exists, and it has yet to be disclosed. I will have more to say on that topic in another post soon. 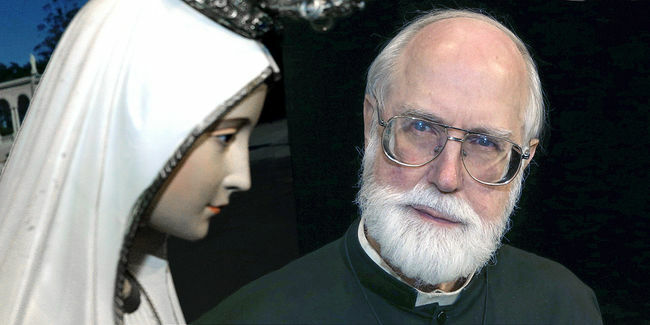 The interview then addresses a letter that Sr. Lucia allegedly wrote to Pope John Paul II in May 1982, a part of which was published by the Vatican along with the vision. Symonds tells us that Mr. Ferrara, in their Angelus Conference debate, questioned the letter’s authenticity. If we do not reject the path of sin, hatred, revenge, injustice, violations of the rights of the human person, immorality and violence, etc. Look, I don’t know for certain if these words really can be attributed to Sr. Lucia, much less if they accurately represent the words of Our Lady to the seer, but the phrase “violations of the rights of the human person” sticks out like a sore thumb leafing through the voluminous text of Vatican Council II. I mean, seriously, are we really to believe that the pious Sr. Lucia, much less Our Lady, uttered not a peep about the Sovereign Rights of Our Lord Jesus Christ, and yet made an effort to bemoan the vaunted “rights of the human person”? I, for one, don’t buy it for a minute. The 1982 letter offered some general guidelines for the Holy Father to interpret the third part, and it disproves the notion of a second text. Sr. Lucia expressly stated in her letter that the Holy Father was “anxious to know” the third part of the secret. Well, if there was a second, explanatory text of Our Lady that the Pope already read between 1978 and 1981, why would he be “anxious to know” the third part of the secret? According to Symonds, the rest of the letter offers an explanation of the vision that was published in the year 2000, which wouldn’t make sense, in his view, if the pope had already read the supposed second text. But guess what makes even less sense? This letter was allegedly written roughly one year after Pope John Paul II was shot! When, after the attempted assassination on 13 May 1981, the Holy Father had the text of the third part of the “secret” brought to him, was it not inevitable that he should see in it his own fate? If John Paul II understood the Secret to concern the attempt on his life in 1981, why, in the year 1982, would he still be “anxious to know” its meaning? How is it that Sr. Lucia – she to whom Our Lady (as all agree) had explained the Secret’s true meaning – doesn’t mention the 1981 assassination attempt even once in connection with it? Furthermore, why did it take another eighteen years for the Vatican to reveal that the attempt on John Paul’s life is the event described in the Secret? The truth is folks, the 1982 letter doesn’t make sense because it is a fabrication; not because a second text does not exist. In her letter, Sr. Lucia spoke about a “diabolical revolt” that was being “promoted by the powers of darkness” with “errors” being made against God, his Church, her doctrines and dogmas. She said the Church was going through an “agony in Gethsemane” and that there was a “worldwide disorientation that is martyring the Church.” She wrote to encourage Paul VI as the Vicar of Christ on earth and to tell him of her and others’ steadfastness to him, to Christ and his Church, in the midst of the revolt. While we do not know the date of this letter, it was in the year 1972 that Paul VI made his famous comment concerning the “smoke of Satan,” wherein he made plain his own understanding of the “diabolical revolt” taking place in the Church. We believe in something preternatural coming into the world [the Devil] precisely to disturb, to suffocate anything of the Ecumenical Council, and to prevent the Church from blossoming in the joy of having regained full consciousness of Herself. Are we to believe (as Symonds and the WAF would most certainly desire) that Sr. Lucia – Our Lady’s chosen visionary – wrote to Paul VI to encourage him to press forward with the conciliar agenda in spite of those who (like Cardinal Ottaviani and Archbishop Marcel Lefebvre) “revolted” in the face of the anthropocentric Novus Ordo Missae, the ecumenical agenda, the veritable dethronement of Christ the King, and the unbridled humanism that characterized his entire pontificate? Once again, I’m not buying it. In closing, and returning where we began, those who are immersed in unchanging Catholic doctrine as taught with great clarity and conviction before Vatican Council II cannot but realize that the men who speak in the name of the Church today – up to and including the men in white in Rome – simply cannot be trusted to teach the truths of the Faith. So why should they be trusted to tell the truth about Fatima? Two Sr Lucias. When will that be addressed? There is no sense even discussing or considering anything concerning Fatima until we learn what happened to the first and only Sr Lucia. Maybe soon thanks to these efforts. I am so tired of hearing about this “secret”. 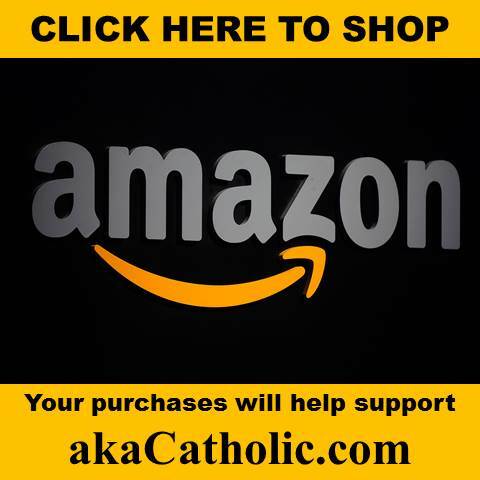 Why would Our Lady give Sr. Lucia vital and life-saving information for the Church and then prohibit it from being published until 1960 and by popes with political agendas? Why didn’t Sr. Lucia herself release the information when she saw that the popes were not going to do so? I don’t know, is this thinking blasphemous against Our Lady? I don’t mean it to be so. I just am so fed up with these heirarchs and prelates playing games with the future of souls. She did it that way precisely to demonstrate how our Churchmen behave. The cover-up IS the message. Also consider the Streisand effect created by the shoddy cover-up attempts. Ironically in seeking to bury Fatima, the modernists have only created more intrigue. “1960 at the earliest”…..John XXIII announced Vatican II in November 1959. If you’re going to warn the faithful that the Pope is a nutter and do not listen to him, you can’t exactly release it until after Pius XII dies in 1958. The secret becoming “manifest/clearer” after 1960 is another clear reference to Vatican II. So Our Lady in her wisdom, did in fact did release the most pertinent warning of the Third Secret to those who have ears without really having to. Wait a minute, you wrote, “I just am so fed up with these hierarchs [sic] and prelates playing games with the future of souls.” Don’t forget that God gives all men sufficient grace to save their souls if they really want to be saved. In one sense, no one will have an excuse at their particular judgment that they were prevented from getting into heaven by bad leaders. We also have (those of us who can read) the very Word of God in written form to read and learn the Truth along with the teachings of the Fathers. Thanks. Excellent point. However, like a good parent, the true Catholic hierarchy has an obligation to lead correctly. We, as the sheep, will be ultimately be damned for straying , despite the lack of direction from our earthly shepherds, BUT that fact doesnt change the subsequent fact that our vatican 2 “shepherds” are surely leading us to Hell. If it was simply up to you and I to decipher the Word of God and be saved or damned by how we interpreted it, than what would be the point of the Church? The Church HAS to have some purpose, no? Wrestle for thine own soul, especially in such days as these. You obviously come here simply to 1) virtue-signal, and 2) scold us. Ever seen SNL with Dana Carvey? You’re the new Church Lady. Very succinct, Louie, and pointedly presented. Well done. I heartily recommend Christopher Ferrara’s investigative masterpiece on Fatima “The Secret Still Hidden” which can be ordered through Amazon. I have read it over and over and it addresses all of the issues which Louie has addressed in his piece. Thanks once more to “The Francis Effect” (and A.L.) seems one of the most important and revealing messages of Fatima these past few years is no longer about “the Great Apostacy starting from top down “, meaning starting with ALL the VII popes who have been undermining traditional doctrines, teachings and liturgy with their new VII teachings and their new mass these last 50 years but instead we now hear this one message/quote ad nauseam allegedly from Sr. Lucia about how so-called “final battle between God and Satan will be over marriage and the family” in a once again disengenous attempt to make it seem like the “Great Apostacy” from the top down is just starting now these last 4 years with Pope Francis and A.L. And neither is anyone else who has scintilla of common sense, and is not a CINO. If one knows some buyers otherwise, I understand that the WAF, having nothing to do, has now been inspired to move into the apostalate of selling bridges when available. Color, location, financing and maintenance options are included..on a “Best Efforts Basis”….all for a one time nominal upfront, non-refundable fee. (Bank Cashiers Checks or Bank Wires only). Included is monthly supply of water from Medjugorje blessed by the seers and their Franciscans advisers. No one should question their sincerity. After all, selling bridges is no more outrageous than their take and promulgation on the Fatima messages and their demeaning and calumny of those who disagree with them. “Useful idiots” and “Partisans of Satan” keeps coming to mind. When they can’t defend their nonsense they denigrate those who point it out. Why would anyone would trust this coward, abdicator, and traitor with revealing anything true about Fatima?. Do you have a cite for that quote from Mr. Ratzinger? I’d appreciate it. John23’s reaction when he read the secret in 1960 is evidence that there were dire warnings against the Second Vatican Council and the resultant V2 “church”. So why would anyone in the V2 “church” or anyone who recognizes the validity of the V2 “church” be truthful regarding Our Lady’s message? The diabolical disorientation is here and we are wondering about Our Lady’s warnings? We’re living it! “This is not for our time….I am, not listening to the prophets of doom”……were words any more apocalyptic, disastrous and colossally arrogant ever uttered by anyone such as John XXIII? Saint?—(barf). The most interesting piece of this is what it says about the papacy. No pope would want to be the pope who was demonstrating “apostasy from the top down”, so one can see why it might be hushed up. Of course what it might say about future events is interesting too. Now that you point it out, I realize I don’t believe a word the men in Rome say, on this topic or any other. How sad. Absolutely no one addresses the fact that Fatima and Sr Lucia were under the control of Opus Dei. In his own book Escriva states he visited Sr Lucia in Tuy right after she was ordered to put the Third Secret to paper to go to the vatican. But, he says he never asked her about it . instead he states she told him to start the first Opus Dei house outside of Spain in Coimbre, Porugal and that she would handle all the Visas etc for him. 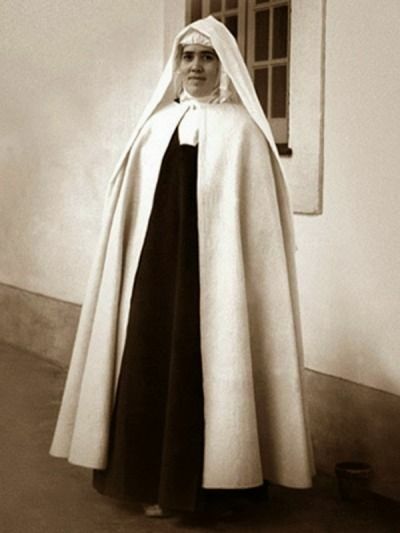 Interesting that a few years later the Sr Lucia we have come to know , wound up a Carmelite nun after 23 years as a Dorothean in Coimbre and that after her death Mother Celine wrote all the nuns in the Cloister are Opus Dei cooperators. aka ” a good but silly nun” as she was described by Escriva according to Maria Carmen del Tapia in her book “Beyond the Threshold”. And this from Sr Lucia’s Superior encouraging the Canonization of Escriva…. And this from the late Anne Cillis a true Spiritual daughter of Padre Pio. ‘He told me, “Sister Lucy died years ago. The doctor taking care of her, was a close friend of mine. He told me that he had received a telephone call from the Carmelites at Coimbra , telling him that ‘his services were no longer required'”. A Fatima Center insider says there is evidence that Sr. Lucy died in 1946. 2 Cents……….Our Lord and Our Lady also want us to use our common sense and rad and pray.